BMW introduced the 6 Series Gran Turismo at the Auto Expo last year. Subsequently, in June, the company launched a diesel version with a 3.0-litre motor. 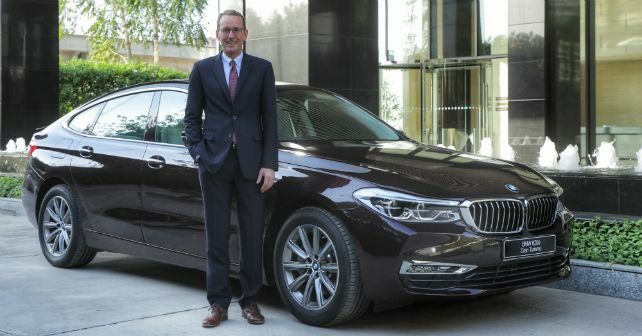 The Munich-based carmaker has now introduced a new 620d trim with a 2.0-litre heart. It is priced at Rs 63.90 lakh – same as the 630i. The 620d Gran Turismo will look identical to the other variants except, of course, the badging on the boot lid. This means it comes with the same kidney grille, adaptive LED headlights, frameless doors, and the Active rear spoiler. Other features in the car include two colour screens for the passengers at the back with a BluRay Player, HDMI connection and more. The car gets leather upholstery, leather wrapped upholstery, ambient lighting and a two-part panoramic sunroof. The 6 Series 620d GT develops 188bhp and 400Nm, and comes paired with an 8-speed automatic transmission. BMW claims that the car does the 0-100km/h dash in just 7.9 seconds. The 6GT gets multiple drive modes – Sport, Comfort, Comfort+ EcoPro and Adaptive.